Pregnant women and couples at risk of having a baby with sickle cell disease or thalassaemia major can face some very difficult decisions. These can include whether to have prenatal diagnosis (PND) to find out whether or not a baby has one of these serious inherited blood conditions. We have updated our national guidance on counselling and referral for prenatal diagnosis for women and couples identified as being at risk. The guidance emphasises the need to ‘fast track’ known at-risk women and couples to give them time to make informed choices. 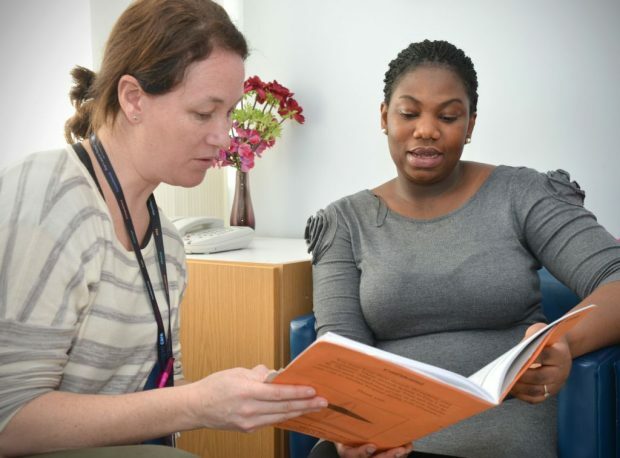 Referral to specialist counselling must be offered at first contact with a healthcare professional, to minimise delays in the pathway and to ensure the timely offer of prenatal diagnosis (PND) by 12 weeks and 0 days gestation. The guidelines are underpinned by clinical audit, service evaluation and real life stories. We commissioned the Sickle Cell Society and UK Thalassaemia Society to interview parents face to face to explore their personal experiences of the antenatal screening process. Their powerful stories outlined gaps in service provision and how they impacted on people’s lives. We’d like to thank them and the voluntary organisations for their crucial contributions. We have used the findings from the parent interviews to improve the fast-track pathway for known carrier couples and for women where the baby’s father’s results are not available.